Detoxify your patients with a proven and comprehensive detoxification protocol. The only detoxification regimen of its kind, Ultimate Body Detox Extra Strength, comprised of Advanced Cellular Silver (ACS) 200, Advanced Cellular Zeolite (ACZ) nano and Advanced Cellular Glutathione (ACG) Extra Strength Formulas provides systemic, profound reduction of pathogens, toxins and free radicals with exceptional patient outcomes. To effectively reduce Toxic Body Burden (TBB) of harmful toxins and pathogens, Results RNA® has created Total Body Detox comprising two revolutionary Intra-oral spray formulas Advanced Cellular Silver (ACS) 200 and Advanced Cellular Zeolite (ACZ) nano. The most effective immune system support formula available to physicians, ACS 200 Extra Strength has been proven in numerous independent studies to be anti-fungal, anti-viral and bactericidal, achieving complete kill against Candida albicans, Rhino Virus, Borrelia burgdorferi and MRSA in just minutes. A breakthrough in detoxification, ACZ nano Extra Strength selectively and irreversibly binds and expels toxic heavy metals, chemical toxicants and free radicals. Proven independently in urine challenge studies, ACZ nano Extra Strength has been shown to increase urinary output of mercury by up to 55,300%, and many other toxicants to significant levels over baseline during only 12 hours of post-provocation urine collection. Enhance the healing power and patient outcomes of your practice with an unparalleled solution for systemic reduction of pathogen and toxin burden. A major advancement in Glutathione supplementation, Results RNA® has developed Advanced Cellular Glutathione (ACG). 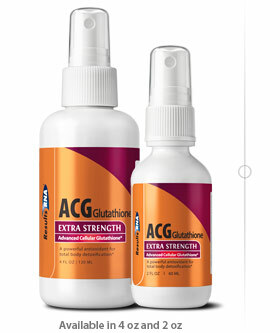 ACG Glutathione Extra Strength is an intra-oral spray GSH that tastes great and has been proven by an independent clinical research firm to effectively increase intracellular levels of GSH by over 10% in only 7 hours. Take Results RNA® ACG Glutathione with ACS 200 Extra Strength and ACZ nano Extra Strength to achieve enhanced immune system support and ultimate body detoxification. ACG Glutathione is produced under strict GMP manufacturing controls in conformance with guidelines for dietary supplements set forth in USP XXVII. For purity and quality, ACG Glutathione contains no preservatives • no alcohol • no artificial coloring or flavoring. For customer support, please call 1 888 823 3869. The leading silver-based supplement in multiple independent studies, ACS 200 Extra Strength rapidly kills an enormous array of pathogenic microorganisms; literally oxidizing the cell wall of Gram-positive and Gram-negative bacteria as well as naked virus, fungus, and all without damaging human tissue. When choosing an immune system support formula, safety and efficacy are the only two factors that truly matter. 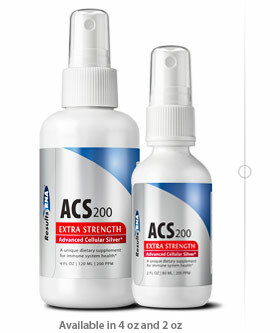 ACS 200 Extra Strength provides fast and significant relief patients can feel, without harming the gut flora. Far beyond ‘colloidal silvers’ in performance, ACS 200 Extra Strength provides 200 parts per million of uniquely energized silver molecules, which are suspended in wetter water; a proprietary micronutrient transport medium that is 43% lower in surface tension, enabling a more rapid penetration through all biological systems. Prepare for Success. No single immune system support product will provide a more effective treatment or prophylaxis than can be achieved using ACS 200 Extra Strength, proven the most powerful, broad-spectrum immune support available to physicians today. Advanced Cellular Silver in Ultra-Pure Deionized Water. Take AC2 200 Extra Strength and ACZ nano Extra Strength daily to maintain optimal health and total body detoxification. ACS 200 Extra Strength is produced under strict GMP manufacturing controls in conformance with guidelines for dietary supplements set forth in USP XXVII. For purity and quality, ACS 200 Extra Strength contains no preservatives • no alcohol • no artificial coloring or flavoring. For customer support, please call 1 888 823 3869. 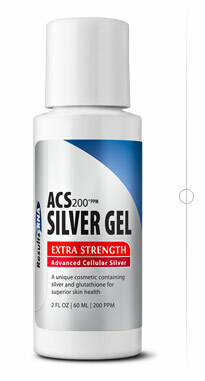 Soothing and effective, ACS 200 Silver and Glutathione Topical Gel provides immediate and significant topical effect. Apply directly to sunburn, burns, cuts, scrapes, rashes for enhanced healing and discernable relief. ACS Silver Gel is produced under strict GMP manufacturing controls in conformance with guidelines for dietary supplements set forth in USP XXVII. For purity and quality, ACS Silver Gel contains no preservatives • no alcohol • no artificial coloring or flavoring. For customer support, please call 1 888 823 3869. •	Take 2 sprays in each nostril. •	Inhale through nostril while spraying. •	Formula can be taken as often as desired. Formula derived using a proprietary selective nutrient extraction process with ultra-distilled water, Advanced Cellular Silver, Borage Leaf (Borage officinalis), Chamomile Flower (Anthemis nobile), Echinacea Herb (Echinacea Purpurea), and Rose Hips (Rosa canina). 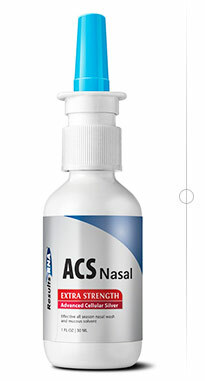 ACS 200 Extra Strength Nasal is produced under strict GMP manufacturing controls in conformance with guidelines for dietary supplements set forth in USP XXVII. For purity and quality, ACS 200 Extra Strength Nasal contains no preservatives • no alcohol • no artificial coloring or flavoring. For customer support, please call 1 888 823 3869. ACZ nano Extra Strength selectively and irreversibly binds and removes toxic heavy metals, chemical toxicants, and free radicals of all types through the urinary tract, without removing vital nutrients. These results have been verified in multiple, independently derived urine challenge studies. : Urinary toxic output is significantly increased as nano zeolite particles are readily absorbed into the bloodstream, providing systemic reduction of body burden. Most agents such as EDTA and micronized zeolites exhibit poor absorption and remain in the gut. : ACZ nano Extra Strength is the only nano zeolite formula available with over 90% of total zeolite crystals existing within the nano range as calculated via SEM analysis. Competing liquid and powdered zeolite formulations utilize micronized zeolite, with particles over one thousand times larger than the nano zeolite crystals provided in ACZ nano Extra Strength. In other words, ACZ nano Extra Strength provides around 1,000 nano zeolite particles for every single micronized zeolite particle provided in competing zeolite products. An unparalleled adsorbent, ACZ nano Extra Strength exhibits a one million times increase in actual surface area per equal amounts of zeolite administered, delivering proven and far superior results. : Patient response is very positive and readily discernable. Physicians who prescribe ACZ nano Extra Strength do so repeatedly as an effective adjunct to any protocol. 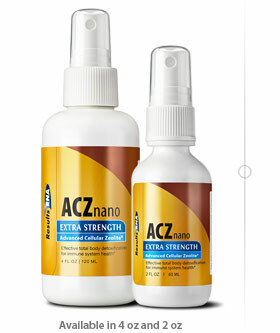 Take ACZ nano Extra Strength and ACS 200 Extra Strength daily to maintain optimal health and total body detoxification. ACZ nano Extra Strength is produced under strict GMP manufacturing controls in conformance with guidelines for dietary supplements set forth in USP XXVII. For purity and quality, ACZ nano Extra Strength contains no preservatives • no alcohol • no artificial coloring or flavoring. For customer support, please call 1 888 823 3869. Want healthy relief without drugs and side effects? There is no reason to needlessly suffer. 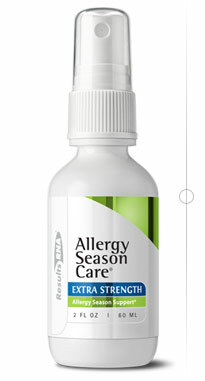 Allergy Season Care Extra Strength Extra Strength provides soothing and immediate relief in a great tasting spray. Reclaim your enjoyment of the great outdoors and even furry pets indoors. Allergy Season Care Extra Strength contains powerful antioxidants and herbal decongestants needed to boost your natural immunity during all seasons and conditions of allergic response. People who use Allergy Season Care Extra Strength rave about how it works. Try Allergy Season Care Extra Strength and rave a little yourself! Results RNA® Intra-oral sprays provide a new age in nutritional supplementation. Enjoy instant absorption and profound efficacy. No more swallowing capsules or pills. Just spray, swish and swallow. Simple and refreshing, Allergy Season Care Extra Strength has a mild, pleasant taste with a hint of natural mint. Formula derived using a proprietary selective nutrient extraction process with ultra-distilled water, Peppermint Leaf (Mentha x piperita), Burdock Root (Arctium lappa), Eyebright Herb (Euphrasia officinalis), Blessed Thistle Herb (Cnicus benedictus), Angelica Root (Angelica archangelica), Devil’s Claw Root (Harpagophytum procumbens) and Advanced Cellular Minerals. 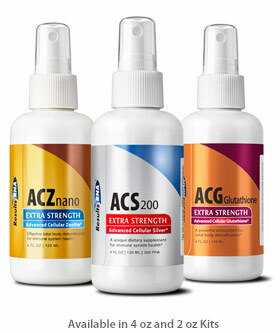 Take Results RNA® Allergy Season Care Extra Strength with ACS 200 Extra Strength and ACZ nano Extra Strength to achieve enhanced allergy season relief and total body detoxification. Allergy Season Care Extra Strength is produced under strict GMP manufacturing controls in conformance with guidelines for dietary supplements set forth in USP XXVII. For purity and quality, Allergy Season Care Extra Strength contains no preservatives • no alcohol • no artificial coloring or flavoring. For customer support, please call 1 888 823 3869. Take great care of your heart and your heart will take care of you! Remember, an ounce of prevention is truly worth a pound of cure. Cardio Care Extra Strength is an exceptional nutritional formula for cardiovascular health and support. Be serious about the health of your heart. Heart Disease and high blood pressure are in the top five causes of death in this country affecting men and women. To maintain a strong heart and healthy cardiovascular system, exercise, eat right, relax, enjoy life and take your Cardio Care Extra Strength. Your heart will thank you for it. Results RNA® Intra-oral sprays provide a new age in nutritional supplementation. Enjoy instant absorption and profound efficacy. No more swallowing capsules or pills. Just spray, swish and swallow. Simple and refreshing, Cardio Care Extra Strength has a mild, pleasant taste with a hint of natural mint. Cardio Care Extra Strength is an exceptional nutritional formula for cardiovascular health and support. For best results, use Cardio Care Extra Strength with ACS 200 Extra Strength and ACZ nano Extra Strength to achieve optimal cardiovascular health and total body detoxification. Simple to use, just spray, swish and swallow. Cardio Care Extra Strength has a pleasant taste with a hint of natural mint. Formula derived using a proprietary selective nutrient extraction process with Peppermint Leaf (Mentha x piperita), Dandelion Leaf (Taraxacum officinate), Cornsilk (Zea mays), Juniper Berries (Juniperus communis), Hawthorn Berries (Crataegus laevigata), Garlic Clove (Allium sativum) and Natural Minerals in Ultra-Pure Deionized Water. Take Results RNA® Cardio Care Extra Strength with ACS 200 Extra Strength and ACZ nano Extra Strength to achieve cardiovascular wellness and total body detoxification. Cardio Care Extra Strength is produced under strict GMP manufacturing controls in conformance with guidelines for dietary supplements set forth in USP XXVII. For purity and quality, Cardio Care Extra Strength contains no preservatives • no alcohol • no artificial coloring or flavoring. For customer support, please call 1 888 823 3869. Let's face it, over the counter flu and cold medications have dangerous side effects and offer only mild symptom relief. Antibiotics have no effect on the viruses that cause flu and colds. Powerful and all natural, Cold Flu Care lifts and revitalizes the immune system providing substantial relief now while helping to prevent flu and colds in the future. Cold Flu Care results are fast acting and safe. Continual use provides increased and continual benefit. Cold Flu Care revitalizes patients quickly and safely with no side effects. Results RNA® Intra-oral sprays provide a new age in nutritional supplementation. Enjoy instant absorption and profound efficacy. No more swallowing capsules or pills. Just spray, swish and swallow. Simple and refreshing, Cold Flu Care has a mild, pleasant taste with a hint of natural mint. Formula derived using a proprietary selective nutrient extraction process with ultra-distilled water, Peppermint Leaf (Mentha x piperita), Borage Leaf (Borago officinalis) , Chamomile Flower (Anthemis nobile), Echinacea Herb (Echinacea Purpurea), Rose Hips (Rosa canina) and Advanced Cellular Minerals. Take Results RNA® Cold Flu Care with ACS 200 Extra Strength and ACZ nano Extra Strength to achieve enhanced immune system support and total body detoxification. Cold Flu Care is produced under strict GMP manufacturing controls in conformance with guidelines for dietary supplements set forth in USP XXVII. For purity and quality, Cold Flu Care contains no preservatives • no alcohol • no artificial coloring or flavoring. For customer support, please call 1 888 823 3869. Prescribed by health wise practitioners, Feminine Care Extra Strength is the result of many years research providing crucial cellular building blocks directed specifically towards the female reproductive systems including mammary glands, uterine, ovarian, colon and rectal systems. Results RNA® Intra-oral sprays provide a new age in nutritional supplementation. Enjoy instant absorption and profound efficacy. No more swallowing capsules or pills. Just spray, swish and swallow. Simple and refreshing, Feminine Care Extra Strength has a mild, pleasant taste with a hint of natural mint. Formula derived using a proprietary selective nutrient extraction process with Peppermint Leaf (Mentha x piperita), Echinacea Herb (Echinacea Purpurea), Flax Seed (Linum usitatissimum), Green Tea Leaf (Camellia sinesis, Licorice Root (Glycyrrhiza glabra) and Natural Minerals in Ultra-Pure Deionized Water. Take Feminine Care Extra Strength with ACS 200 Extra Strength and ACZ nano Extra Strength for total body nutrition, cleansing and rejuvenation. Feminine Care Extra Strength is produced under strict GMP manufacturing controls in conformance with guidelines for dietary supplements set forth in USP XXVII. For purity and quality, Feminine Care Extra Strength contains no preservatives • no alcohol • no artificial coloring or flavoring. For customer support, please call 1 888 823 3869. Joint pain is something no one should have to suffer with, especially when optimal joint healthy is so easy to come by. Finally, an all natural joint support formula that is truly effective and truly safe. Derived after over 20 years of research and laboratory testing, Joint Care Extra Strength performs far beyond that of all other supplements or support methodologies, including products like SAM-e, Glucosamine and Chondroitin-based compounds. Results RNA® Intra-oral sprays provide a new age in nutritional supplementation. Enjoy instant absorption and profound efficacy. No more swallowing capsules or pills. Just spray, swish and swallow. Simple and refreshing, Joint Care Extra Strength has a mild, pleasant taste with a hint of natural mint. Formula derived using a proprietary selective nutrient extraction process with Peppermint Leaf (Mentha x piperita), Scullcap Herb (Scutellaria laterifolia), Devil's Claw Root (Harpagophytum procumbens), Turmeric Herb (Curcuma longa) Mullein Leaf (Verbascum thapsus), Burdock Root (Arctium lappa), Oregon Grape Root (Mahonia aquifolium) and Natural Minerals in Ultra-Pure Deionized Water. Take Joint Care Extra Strength with ACS 200 Extra Strength and ACZ nano Extra Strength to achieve optimal joint health and total body detoxification. Joint Care Extra Strength is produced under strict GMP manufacturing controls in conformance with guidelines for dietary supplements set forth in USP XXVII. For purity and quality, Joint Care Extra Strength contains no preservatives • no alcohol • no artificial coloring or flavoring. For customer support, please call 1 888 823 3869. Itchy, sticky, watery, red and puffy eyes... Sound familiar? 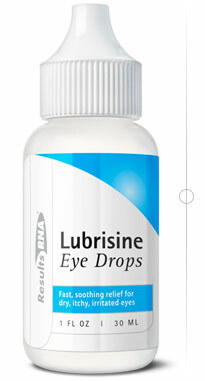 Lubrisine eye drops work in just minutes to soothe and lubricate dry, itchy and irritated eyes. Tired eyes come alive again with only a few drops in each eye. Lubrisine eye drops nourish the eyes with beneficial ingredients, unlike the chemicals contained in other eye drops. Lubrisine eye drops provide brilliant allergy season relief as well as focused nutrients directed towards improving the overall health of the eyes. Use Lubrisine eye drops first thing in the morning to awaken the eyes. Use them just before bed to lubricate the eyes while you sleep. Use a few drops throughout the day and avoid the need to rub. Formula derived using a proprietary nutrient extraction process with ultra-distilled water, Burdock Root (Arctium lappa), Eyebright Herb (Euphrasia officinalis), Blessed Thistle Herb (Cnicus benedictus), Angelica Root (Angelica archangelica), Devil's Claw Root (Harpagophytum procumbens), 0.5% Poly Vinyl Alcohol and Natural Minerals in Ultra-Pure Deionized Water. Take Lubrisine eye drops with Allergy Season Care Extra Strength intra-oral. Lubrisine is produced under strict GMP manufacturing controls in conformance with guidelines for dietary supplements set forth in USP XXVII. For purity and quality, Lubrisine contains no preservatives • no alcohol • no artificial coloring or flavoring. For customer support, please call 1 888 823 3869. Metabo Care Extra Strength provides core metabolic nutrients crucial for sugar and starch metabolism. These same nutrients help the body normalize blood sugar levels and reject Candida. A natural appetite suppressant, reduce unwanted weight without the use of unhealthy stimulants. Combine Metabo Care Extra Strength with exercise and good foods for the most consistent, healthy and reliable way to lose unwanted fat. Results RNA® Intra-oral sprays provide a new age in nutritional supplementation. Enjoy instant absorption and profound efficacy. No more swallowing capsules or pills. Just spray, swish and swallow. Simple and refreshing, Metabo Care Extra Strength has a mild, pleasant taste with a hint of natural mint. Metabo Care Extra Strength supports optimal sugar and starch metabolism. Helps the body normalize blood sugar levels and reject Candida. A natural appetite suppressant, manage unwanted weight without the use of unhealthy stimulants. For best results, use Metabo Care Extra Strength with ACS 200 Extra Strength and ACZ nano Extra Strength to achieve optimal metabolic health and total body detoxification. Formula derived using a proprietary selective nutrient extraction process with Peppermint Leaf (Mentha x piperita), Astragalus Root (Astragalus membranaceus), Ashwaganda Root (Withania somnifera), Burdock Root (Arctium lappa), Hawthorn Berries (Crataegus laevigata), Grapefruit Extract and Natural Minerals in Ultra-Pure Deionized Water. Take Metabo Care Extra Strength with ACS 200 Extra Strength and ACZ nano Extra Strength to achieve optimal metabolic health and total body detoxification. Metabo Care Extra Strength is produced under strict GMP manufacturing controls in conformance with guidelines for dietary supplements set forth in USP XXVII. For purity and quality, Metabo Care Extra Strength contains no preservatives • no alcohol • no artificial coloring or flavoring. For customer support, please call 1 888 823 3869. MRSA Care Extra Strength strengthens immunity, reducing susceptibility and symptoms associated with Staphylococcus aureus. 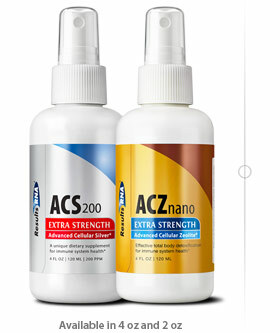 Combine with ACS 200 Extra Strength and ACZ nano Extra Strength for a comprehensive, effective protocol. Results are fast acting and safe. Usually significant benefit can be felt within the first month of product use. Continual use provides increased and continual benefit. MRSA Care Extra Strength has no side effects. Results RNA® Intra-oral sprays provide a new age in nutritional supplementation. Enjoy instant absorption and profound efficacy. No more swallowing capsules or pills. Just spray, swish and swallow. Simple and refreshing, MRSA Care Extra Strength has a mild, pleasant taste with a hint of natural mint. MRSA Care Extra Strength provides powerful immune system support. Simple to use. Fast acting. Numerous Patient Case Studies document effective treatment success. Formula derived using a proprietary selective nutrient extraction process with Peppermint Leaf (Mentha x piperita), Green Tea Leaf (Camellia sinesis), Devil's Claw Root (Harpagophytum procumbens), Soapwort Herb (Sopanaria officinalis), Peach Leaf (Prunus persica) and Natural Minerals in Ultra-Pure Deionized Water. Take MRSA Care Extra Strength with ACS 200 Extra Strength and ACZ nano Extra Strength to achieve optimal immune system support and total body detoxification. MRSA Care Extra Strength is produced under strict GMP manufacturing controls in conformance with guidelines for dietary supplements set forth in USP XXVII. For purity and quality, MRSA Care Extra Strength contains no preservatives • no alcohol • no artificial coloring or flavoring. For customer support, please call 1 888 823 3869. The nervous system is a network of specialized cells that communicate information about an organism's surroundings and itself. Sensory neurons, motor responses, reflexes and more fall within the nervous system. With every spray, Neuro Care Extra Strength provides nutrients that are crucial to the health of the nervous system. Take yours to feed the brain, calm the nerves and enhance the mind. Results RNA® Intra-oral sprays provide a new age in nutritional supplementation. Enjoy instant absorption and profound efficacy. No more swallowing capsules or pills. Just spray, swish and swallow. Simple and refreshing, Neuro Care Extra Strength has a mild, pleasant taste with a hint of natural mint. Neuro Care Extra Strength calms and relaxes the mind. Customers who use Neuro Care Extra Strength claim improved clarity, and far less headaches. Neuro Care Extra Strength improves memory, alertness and reduces brain fog. Neuro Care Extra Strength optimizes reflexes and motor responses. Formula derived using a proprietary selective nutrient extraction process with Peppermint Leaf (Mentha x piperita), Devil's Claw Root (Harpagophytum procumbens), Mugwort Herb (Artemisia vulgaris), Peach Leaf (prunus persica), Chamomile Flower (Anthemis nobile) and Advanced Cellular Silver in Ultra-Pure Deionized Water. Take Neuro Care Extra Strength with ACS 200 Extra Strength and ACZ nano Extra Strength to achieve optimal nervous system support and total body detoxification. Neuro Care Extra Strength is produced under strict GMP manufacturing controls in conformance with guidelines for dietary supplements set forth in USP XXVII. For purity and quality, Neuro Care Extra Strength contains no preservatives • no alcohol • no artificial coloring or flavoring. For customer support, please call 1 888 823 3869. Providing what you need, your pancreas produces enzymes that help digest protein, fat, and carbohydrates before they can be absorbed through the intestine. The pancreas also produces insulin, which regulates the use and storage of glucose or sugar. Pancreas Care Extra Strength is a very system specific nutritional formula, providing nutritional components necessary to support a healthy pancreas. Pancreas Care Extra Strength results are fast acting and safe. Pancreas Care Extra Strength has no side effects. Formula derived using a proprietary selective nutrient extraction process with Peppermint Leaf (Mentha x piperita), Bilberry Leaf (Vaccinium myrtillus), Fenugreek Seed (Trigonella foenumgraecum), Kelp (Laminaria species), Astragalus Root (Astragalus membranaceus), Ashwaganda Root (Withania somnifera) and Natural Minerals in Ultra-Pure Deionized Water. Take Pancreas Care Extra Strength with ACS 200 Extra Strength and ACZ nano Extra Strength to achieve optimal prostate health and total body detoxification. Pancreas Care Extra Strength is produced under strict GMP manufacturing controls in conformance with guidelines for dietary supplements set forth in USP XXVII. For purity and quality, Pancreas Care Extra Strength contains no preservatives • no alcohol • no artificial coloring or flavoring. For customer support, please call 1 888 823 3869. A leader in the field of bio-pharmaceuticals, Results RNA® has developed Prostate Care Extra Strength, the most advanced prostate health supplement available. The result of years in research and development, Prostate Care Extra Strength provides much higher quantities of active nutrients to the prostate gland and colorectal system and at a much more rapid and absorbable rate than could ever be possible with capsules or pills. Over 20 years of applied science, research and development stand behind this unique plasma-to-plasma nutrient delivery method. Using Prostate Care Extra Strength has been shown to help maintain healthy prostate size and PSA. Patients using Prostate Care Extra Strength have also reported healthier and stronger libido. Results are fast acting and safe. Usually significant benefit can be felt within the first month of product use. Continual use provides increased and continual benefit. Results RNA® Intra-oral sprays provide a new age in nutritional supplementation. Enjoy instant absorption and profound efficacy. No more swallowing capsules or pills. Just spray, swish and swallow. Simple and refreshing, Prostate Care Extra Strength has a mild, pleasant taste with a hint of natural mint. Numerous Patient Case Studies have shown Prostate Care Extra Strength to be effective in reducing Prostate Specific Antigen (PSA) counts. Using Prostate Care Extra Strength has been shown to help maintain healthy prostate size and PSA. Patients using Prostate Care Extra Strength have reported healthier and stronger libido. Formula derived using a proprietary selective nutrient extraction process with Peppermint Leaf (Mentha x piperita), Echinacea Herb (Echinacea Purpurea), Flax Seed (Linum usitatissimum), Green Tea Leaf (Camellia sinesis), Licorice Root (Glycyrrhiza glabra) and Advanced Cellular Silver in Ultra-Pure Deionized Water. Take Prostate Care Extra Strength with ACS 200 Extra Strength and ACZ nano Extra Strength to achieve optimal prostate health and total body detoxification. Prostate Care Extra Strength is produced under strict GMP manufacturing controls in conformance with guidelines for dietary supplements set forth in USP XXVII. For purity and quality, Prostate Care Extra Strength contains no preservatives • no alcohol • no artificial coloring or flavoring. For customer support, please call 1 888 823 3869. Pulmo Care Extra Strength results are fast acting and safe. Continual use of Pulmo Care Extra Strength provides increased and continual benefit. Pulmo Care Extra Strength has no side effects. Formula derived using a proprietary selective nutrient extraction process with Peppermint Leaf (Mentha x piperita), Chamomile Flower (Anthemis nobile), Celery Seed (Apium Graveolens), Hyssop Herb (Hyssopus officinalis), Angelica Root (angelica archangelica), Garlic Clove (Allium sativum), Mullein Leaf (Verbascum thapsus), Ginkgo Leaf (Ginkgo Biloba) and Natural Minerals in Ultra-Pure Deionized Water. Take Results RNA® Pulmo Care Extra Strength with ACS 200 Extra Strength and ACZ nano Extra Strength to achieve optimal pulmonary performance and total body detoxification. Pulmo Care Extra Strength is produced under strict GMP manufacturing controls in conformance with guidelines for dietary supplements set forth in USP XXVII. For purity and quality, Pulmo Care Extra Strength contains no preservatives • no alcohol • no artificial coloring or flavoring. For customer support, please call 1 888 823 3869. Formula derived using a proprietary selective nutrient extraction process with Peppermint Leaf (Mentha x piperita), Kelp (Laminaria species), Gotu Kola Herb (Centella asiatica), Ashwaganda Root (Withania somnifera), Dandelion Leaf (Taraxacum officinale), Licorice Root (Glycyrrhiza glabra), Grapefruit Extract and Natural Minerals in Ultra-Pure Deionized Water. Take Results RNA® Pure Energy Extra Strength with ACS 200 Extra Strength and ACZ nano Extra Strength to achieve optimal energy levels and total body detoxification. Pure Energy Extra Strength is produced under strict GMP manufacturing controls in conformance with guidelines for dietary supplements set forth in USP XXVII. For purity and quality, Pure Energy Extra Strength contains no preservatives • no alcohol • no artificial coloring or flavoring. For customer support, please call 1 888 823 3869. Nutritional deficiency and toxicity are the major causes of most rashes as the body attempts to push toxins out through the pores of the skin. This process can cause redness, inflammation, itching, dryness and discomfort. Rash Care Extra Strength provides significant relief. Most rash products are topical applications, treating the rash as the root problem, instead of the rash as the symptom of the problem. Toxicity must be treated from the inside out, not the outside in. Cleanse the body of toxins from the inside, and provide significant relief to the skin on the outside. Combine Rash Care Extra Strength with ACS 200 Extra Strength and ACZ nano Extra Strength for a comprehensive detoxification and rash elimination protocol. Rash Care Extra Strength results are fast acting and safe. Usually significant benefit can be felt within the first few weeks of product use. Rash Care Extra Strength is a natural, herb-derived formula and has no side effects. Formula derived using a proprietary selective nutrient extraction process with Peppermint Leaf (Mentha x piperita), Burdock Root (Arctuim minus), Green Tea Leaf (Camellia sinesis), Peach Leaf (Prunus Persica), Ginkgo Leaf (Ginkgo biloba), Soapwort Herb (Saponaria officinalis) and Natural Minerals in Ultra-Pure Deionized Water. Take Results RNA® Rash Care Extra Strength with ACS 200 Extra Strength and ACZ nano Extra Strength to achieve optimal skin health and total body detoxification. Rash Care Extra Strength is produced under strict GMP manufacturing controls in conformance with guidelines for dietary supplements set forth in USP XXVII. For purity and quality, Rash Care Extra Strength contains no preservatives • no alcohol • no artificial coloring or flavoring. For customer support, please call 1 888 823 3869. Enjoy clear skin where it counts! Orofacial Care Extra Strength Intra-oral spray provides vital nutrients and boosts the immune system in fighting symptoms associated with the herpes virus. Results RNA® Intra-oral sprays provide a new age in nutritional supplementation. Enjoy instant absorption and profound efficacy. No more swallowing capsules or pills. Just spray, swish and swallow. Simple and refreshing, Orofacial Care Extra Strength has a mild, pleasant taste with a hint of natural mint. Orofacial Care Extra Strength Intra-oral spray provides vital nutrients and boosts the immune system in fighting symptoms associated with the herpes virus. Orofacial Care Extra Strength results are fast acting and safe. Orofacial Care Extra Strength has no side effects. Formula derived using a proprietary selective nutrient extraction process with Peppermint Leaf (Mentha x piperita), Lemon Balm (Melissa officinalis), Cat's Claw (Uncaria tomentosa), Astragalus Root (Astraglus Membranaceus), Licorice Root (Glycyrrhiaz glabra) and Natural Minerals in Ultra-Pure Deionized Water. Take Results RNA® Orofacial Care Extra Strength with ACS 200 Extra Strength and ACZ nano Extra Strength to achieve enhanced oral health and total body detoxification. Orofacial Care Extra Strength is produced under strict GMP manufacturing controls in conformance with guidelines for dietary supplements set forth in USP XXVII. For purity and quality, Orofacial Care Extra Strength contains no preservatives • no alcohol • no artificial coloring or flavoring. For customer support, please call 1 888 823 3869.